Our famous Boofest, which will be at each of our stores on Saturday, Oct. 27. 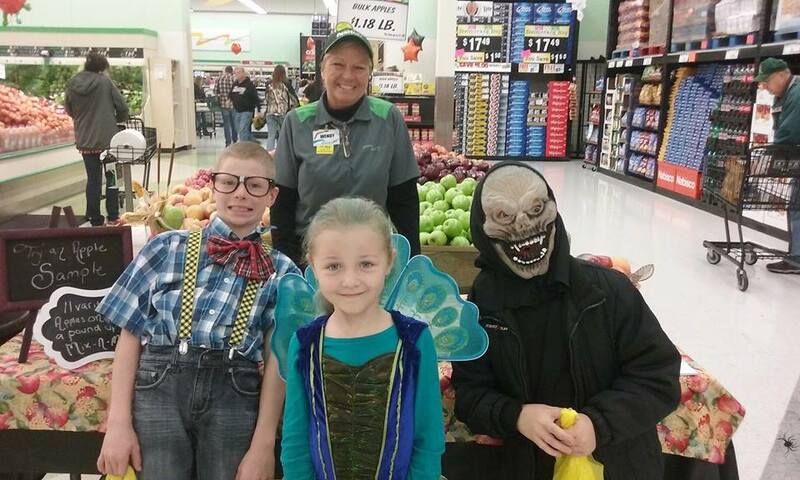 This super fun event, which offers costumed kids the opportunity to trick-or-treat at stations around the store, is set for 10 a.m.-2 p.m. Oct. 27. As always, our associates will be dressed up for the festivities! Associates across our stores just love dressing up in costume and many departments take time to plan out their theme and get really creative. At this event, we offer activities and treats for kids at stations across our stores. Kids also can pick up snacks, decorate cookies or even get some non-food items. We know events like this can be tricky for kids with food allergies, which is why we’ll be offering teal pumpkin stations again this year. These are stations set up especially for kids with food allergies as part of the Teal Pumpkin Project, which offers kids non-food options, such as stickers, whistles, bracelets and pencils. And we’re offering a great prize for sharing photos of those great costumed kiddos with us! Of course, you should feel free to post those adorable pics on Facebook. But if you take a picture of your little one enjoying Boofest, submit it to this page and you’ll be in the running for one of two $100 Festival Foods gift cards!